Someone once described Ghanaians as “magicians”. The person simply looked at the problems facing the ordinary Ghanaian, computed these problems against average earnings, and decided that in order to be able to survive and keep their cheerful attitude, Ghanaians simply had to be “magicians”. Now, what ARE these problems? First, there is the transportation issue, as far as workers are concerned. Trotros and taxis are the options available to low-income people who do not own their own vehicles. But when did anyone think seriously of ensuring that the vehicles used as trotros and taxis are “fit for human consumption”? Many countries have laid down rules that ensure that passengers using public transport are comfortable and free of stress. In a London bus, for instance, you can be sure that the seats are ALWAYS comfortable and clean. You can also assume that closed-circuit television is installed in the bus so that if any crime is committed on it, evidence would be readily at hand to enable the culprit(s) to be arrested and prosecuted. Which state organization in Ghana is charged with this sort of responsibility? There may be some (operating at both the national and municipal levels). But if the RESULTS of their work is proof of their existence or non-existence, then, I am afraid, they do NOT exist. Anecdotal evidence is all that I can use in this instance, for frankly, I haven’t entered a trotro for donkeys’ years. What I am told is that the seats are still uncomfortable; that the vehicles are almost always over-crowded; and that some of them have become mobile pulpits for loud-voiced preachers who are in league with the trotro drivers to drum a religious message into the heads of passengers, whether they like it or not. With regard to taxis, I can speak for myself. Many taxi drivers have air-conditioning installed on their cars. But they don’t turn them on, in the belief that the use of air-conditioning increases their fuel bills! So you take a taxi for an important appointment and arrive at your destination bathed in sweat. It’s a most humiliating experience. The taxi drivers won’t use the air-conditioning, no matter how fervently you beg them to! And sometimes, their car windows can’t be opened by the passenger! It’s either (1) the driver has pulled the window handle off and is hiding it in his glove compartment and won’t use it unless you complain because he's afraid passengers will break it when they use it! Or (2) the handle is completely unserviceable. Another beef: most taxis are fitted with safety belts -- by law. But if you try to put a safety belt on, your hands will become so dirty that you'd have to ask yourself what would happen to your shirt-front if you insist on putting the belt on! Fortunately (for the sanity of the passenger) the safety belts are usually UNREACHABLE, the drivers having cleverly concealed them UNDER THE BACK SEATS! I know this is a lie because I have driven several air-conditioned cars, used them frequently (though not as frequently as a taxi would be used, of course) and I have never had to have a gas refill. There is a video that has gone viral on the Internet that I have seen. Policemen are seen on a section of the road, close by a trotro station. As each trotro driver approaches, one of the policemen, he just puts something [ten cedi note, no doubt!] into the outstretched hand of the policeman and hey presto, he’s waved on. The driver of trotro after trotro does this. You watch the video and ask yourself, “So, suppose that trotro is dangerously overloaded? Suppose the trotro does not have a valid road safety certificate? Suppose the driver has no licence? You answer the questions for yourself and remember what you had seen when next you read of a gory accident on our roads. For without adequate inspection, vehicles will never be safe for the road. Their owners bought them for profit, not to transport people safely. And it is more profitable for them to bribe policemen than to ensure that their brakes, tyres, stop-lights, and other features put into vehicles by the manufacturers -- for safety reasons -- do serve the purpose for which they were installed. 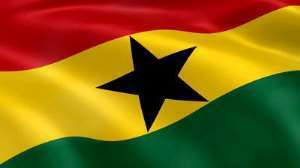 The other challenges Ghanaians are currently facing include the return, even if it does not occur as frequently as before, of dumsor. As I write this, I have had to borrow “writing facilities” (computer and Internet) from a friend, AS MY work-place HAS NO POWER! We didn’t have power for the greater part of Sunday and it went off again in the morning of Monday. I don’t even know whether, when I have finished writing this article, I can send it! A friend who has moved to a new house tells me that the finishing of the work is terrible. Some parts of his house have electricity but not others. The water pressure is low. Some locks don’t work – he was especially appalled to find that one set of door-handles were corroded and rusty: “if I touch the door handles and I forget to wash my hands and I put my hand to my lips, I shall probably die!” he moaned! All these challenges would be surmountable if our workforce put their hearts into their work. But they can’t do that because most of the time, they are under stress. STRESS NO 1: How do I feed members of my family? STRESS NO 2: Will my landlord accept another excuse and allow me to stay in my room without paying the full rent? Stress No 3: How am I going to be able to hang on to my girl-friend when I am so broke most of the time? May The Almighty continue to help us to practice – MAGIC!